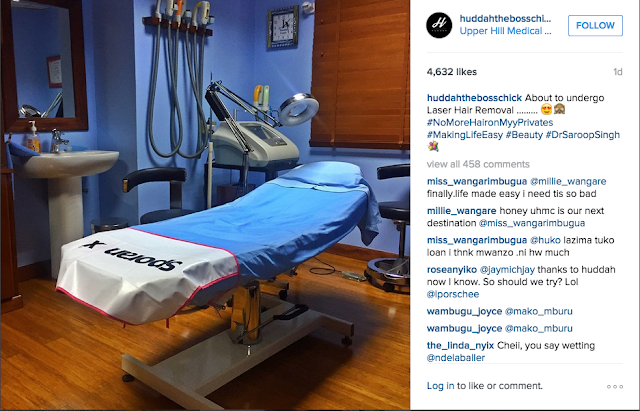 Socialite Huddah Monroe has undergone a procedure that has permanently removed all her pubic hair. "About to undergo Laser Hair Removal .........#NoMoreHaironMyyPrivates#MakingLifeEasy #Beauty#DrSaroopSingh" she wrote in the caption of the picture. This will be the second Socialite in Kenya to undergo some form of artificial process to enhance their beauty after Vera Sidika made headlines last year when she bleached her skin.